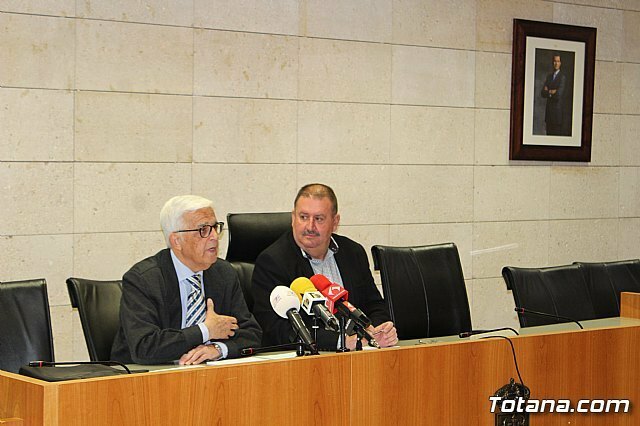 The mayor of Totana, Andrés García, and the regional manager of the General Directorate of Cadastre in Murcia, Justo Parejo, today signed a collaboration agreement that will allow users of this municipality to streamline and simplify procedures in this area, whose act will be held in the municipal plenary hall. The agreement comes to give effect to the plenary agreement of April of 2018 to formalize a collaboration agreement with the General Directorate of Cadastre regarding cadastral management, to replace the one signed by the totanero Consistory on May 26, 2009. In said Act also has been present the councilor of Finance, Ana María Cánovas. 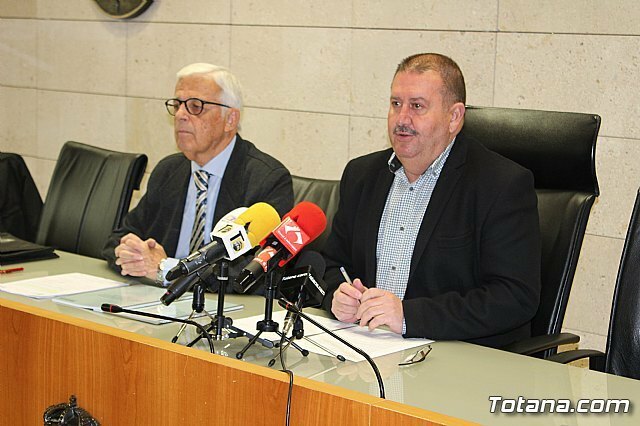 and with which it is now confirmed its improvement and expansion of services through the subscription by the general director of the Cadastre, Fernando de Aragón Amunárriz, and the totanero councilor himself. Under the agreement, the processing of records of alterations of physical and economic order, the collaboration in the reception of documentation and adequacy of the actions to the different letters of services of the Cadastre and its plan of objectives and actions, as well as to what is provided by the regulations on the protection of personal data. The new agreement aims to collect the new regulatory measures included in the current legislation on cadastral matter, adapting it, also, to the application and development of the e-government implemented at the end of last year at the totanero City Council. and that it will enter into force soon as soon as both entities name their representatives in the follow-up commission and make it effective. 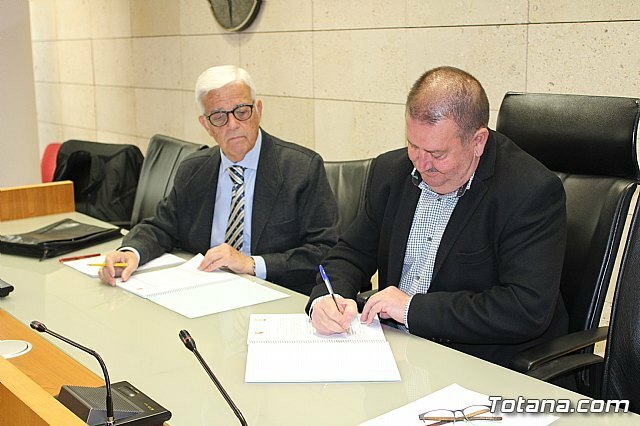 In addition, the agreement includes that ASIREC, SL, as the company awarded the contract for the current cadastral management in the municipality of Totana, prepare an explanatory memorandum stating the purpose of the agreement and the scope of the functions to be performed in each case, and the human and material resources available for the development of said functions. The Regional Cadastre Management has recorded in the year 2018, in the cadastral register, more than 37,200 properties in the municipality of Totana, of which 22,987 are urban properties and 14,280 are rustic, respectively. To this figure, in addition, we must add the number of real properties cataloged with cadastral value of Special Characteristics (BICE), which amounts to nine. The real estate cadastre contains information about the main cadastral variables in each municipality, with a section for each type of property: Urban, Rustic and Special Characteristics. The periodicity is annual and the information corresponding to the files issued for each cadastral registry is taken as a reference. Periodically, the objective of the Ministry of Finance and Public Administration is to regularize all those buildings that are not registered and reflect the changes or modifications in properties that have not been registered, so that they begin to pay according to their real estate reality and can catch up on your tax payments. Through the Procedures of Collective Valuation of General Character (PVCCG) a new cadastral value is determined for all the urban real estate of the corresponding municipality. Simultaneously with these procedures, a new cadastral value is also determined for all the rural real estate of the municipality, which has construction.